It’s been a long time coming, and it’s finally here. 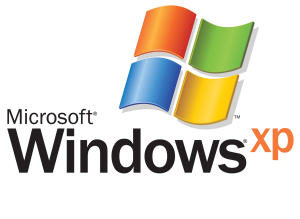 Microsoft is ending support for Windows XP. That means no more patches, which means that any new vulnerabilities discovered by hackers will not be fixed, leaving those of you who still use it, vulnerable. Microsoft is pushing people to upgrade to Windows 8.1. I have a copy of it, and while it works, I much prefer Linux over Windows. I’ve tinkered with Linux off-and-on for years, but in the past year I’ve began to use it full time on my home desktop, as well as on a desktop I have at work. It has become very polished recently, and is becoming much more user-friendly. I don’t have any problem getting done the things I need to get done. I use Ubuntu, which makes things generally easier than other Linux flavors, but I’m still able to tinker ‘under the hood’ if I feel so inclined. The latest version of Ubuntu (14.04 LTS) is due out on April 17, which I’ll be upgrading to as soon as I’m possibly able. LTS (Long Term Support) releases are geared toward stability, and being rock-solid for daily use. They’re also supported much longer than their other releases. I’ll try to write a review in the next couple weeks once I have it installed and am running it full time. Until then, get rid of your (soon-to-be) vulnerable Windows XP! Linux would run perfectly well on that same hardware – give it a try!